It doesn’t make sense that I relate so strongly to her. Barring the gender, we have nothing in common. She was from Hungarian-Jewish-Spanish-Mexican Indian descent; I am as Pakistani as it gets. She lived decades ago in Coyoacán, Mexico; I live in Karachi, Pakistan. She was a Communist political activist; I am not. I have no uni-brow or a muralist called Diego Rivera as my life-partner. Nor do I live in La Casa Azul (The Blue House). Yet the complex and multi-dimensional Frida Kahlo talks to me and I hear her. 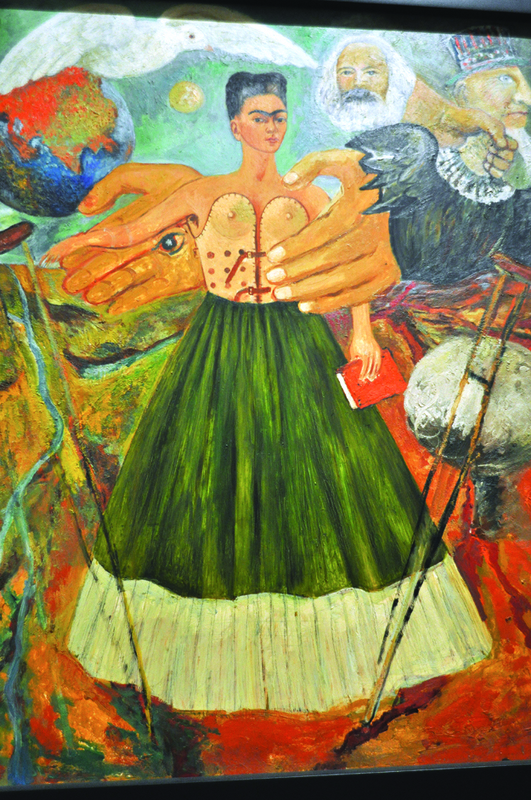 An oil painting titled Marxism will give health to the sick. Frida suffered from polio as a child, had a bus accident as a teenager that left her crippled and underwent 30 surgeries. She had multiple miscarriages and could not have a child. Chained in that crippled body was a feisty uninhibited spirit, who said “Feet, what do I need you for when I have wings to fly?” Her restrictions were very real. But within those restraints, she lived life to the fullest and asserted who she was. And this is the bond between Frida and so many women throughout the world who have no commonalities on a superficial level. But somewhere, in a parallel world, they hear each other. The chains maybe different, but for most women, they are there. 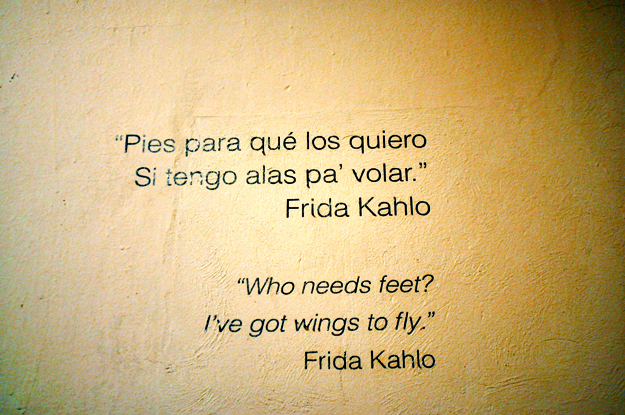 And when they soar as high as they can, while tied to the ground, that’s the point where they meet Frida. 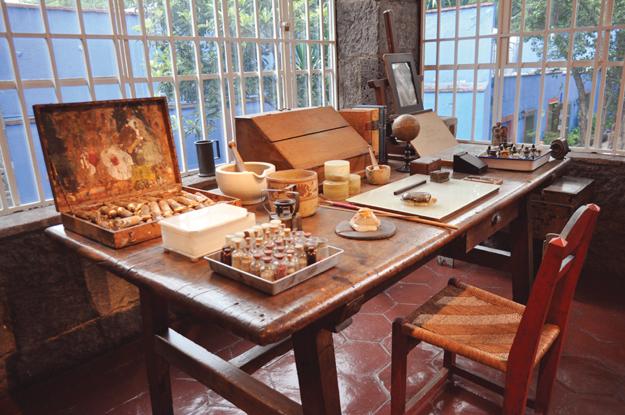 For art enthusiasts and Frida lovers, La Casa Azul is a must-do on the bucket list. Now that I was in Mexico City for a conference, how could I go back without visiting her home? Luckily, I met an American and a South African woman who were equally eager to go there too. 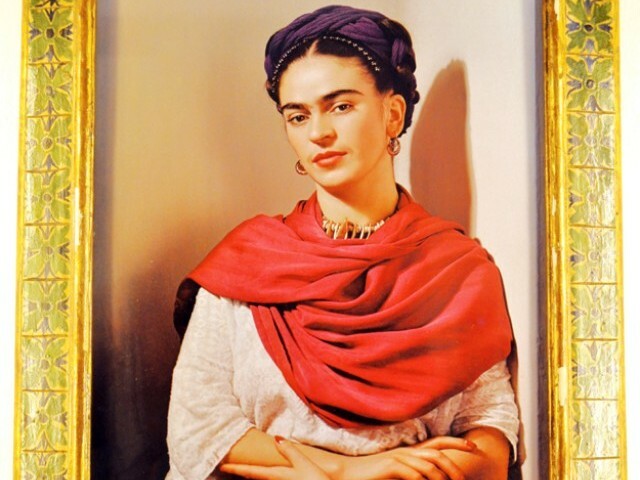 The eclectic nature of this troika did justice to Frida, who embodied as much diversity within herself — equal parts muse, artist, writer, fashionista, lover, activist and saint. I tried speaking my broken Spanish to give directions to the taxi driver but he understood nothing. Eventually, I just ended up saying, “Frida” and he knew where to take us. La Casa Azul is snuggled away in a darling neighbourhood called Coyoacán in Mexico City. 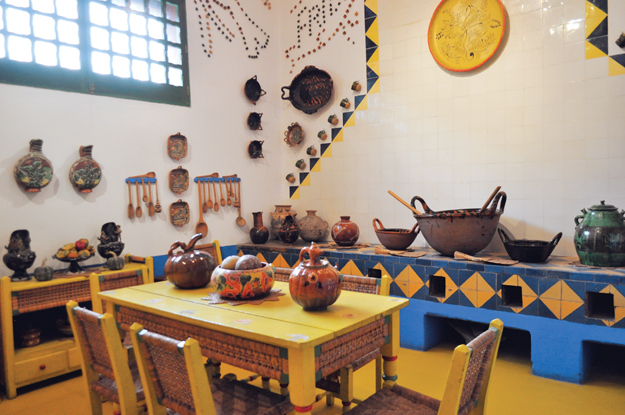 It is also known as Museo Frida Kahlo, as it was converted into a museum in 1958. Even on a weekday afternoon during lunchtime, there was a long queue of Kahlo-enthusiasts outside on the street. The one hour wait allowed us to explore the Colonia del Carmen neighbourhood. The vibrantly painted yellow, orange and blue homes, hand-painted addresses on heavy wooden doors, and imperfect but beautiful architecture — this had to be Frida’s street. Our homes are places where bits of our souls rest in our belongings and our choices. The walls of our rooms witness our inner turmoil and the doors hear our laughter. A part of us lives in our homes even when we are not there. “Her feel is so much alive in this house” is what one of my two companions said as we entered. This is her ancestral home where she was born, where she lived part of her married life with Diego, and where she died. The house, built around a sprawling courtyard, has cobalt-blue walls, small fountains and a lot of plantation. It is creative yet simple, and is very obviously conducive to art. 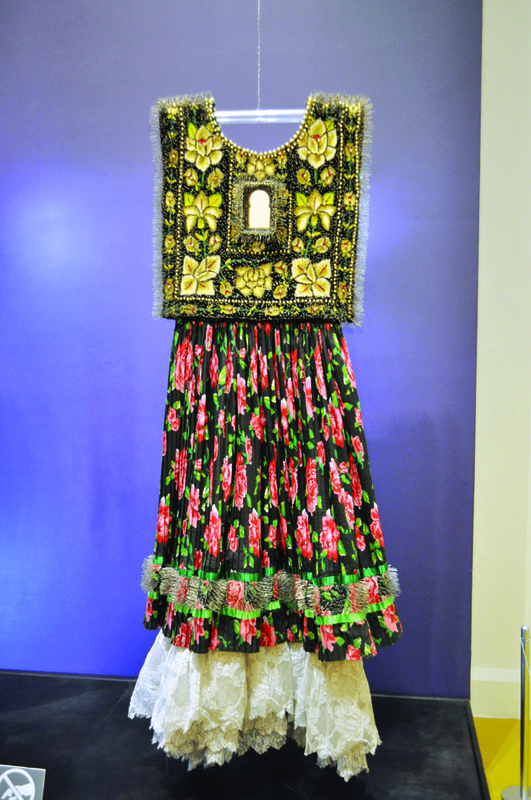 The museum showcases most of Frida’s work. In her lifetime, she produced over 140 paintings, and 55 of these are self-portraits. Clearly in touch with herself, she had once said “I paint myself because I am so often alone and because I am the subject I know best.” Her paintings are, thus, her biography. Some seemingly unfinished paintings show faceless children, and some almost grotesque sculptures show an empty-wombed hollow woman. 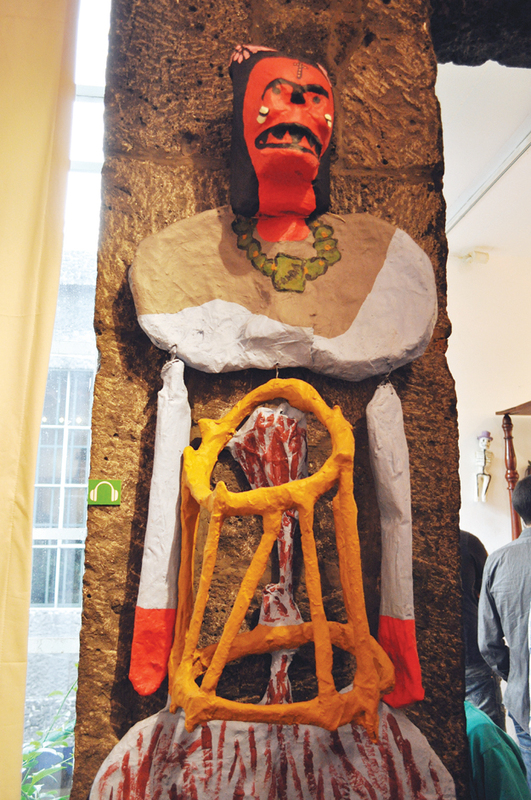 Here, Frida shares her unfulfilled desire of motherhood. 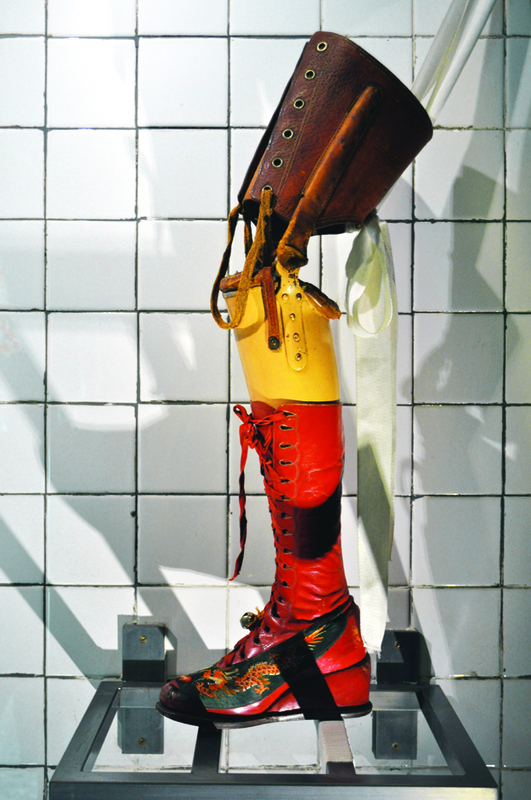 While many see her work as surrealist, she had vehemently called her work her reality. 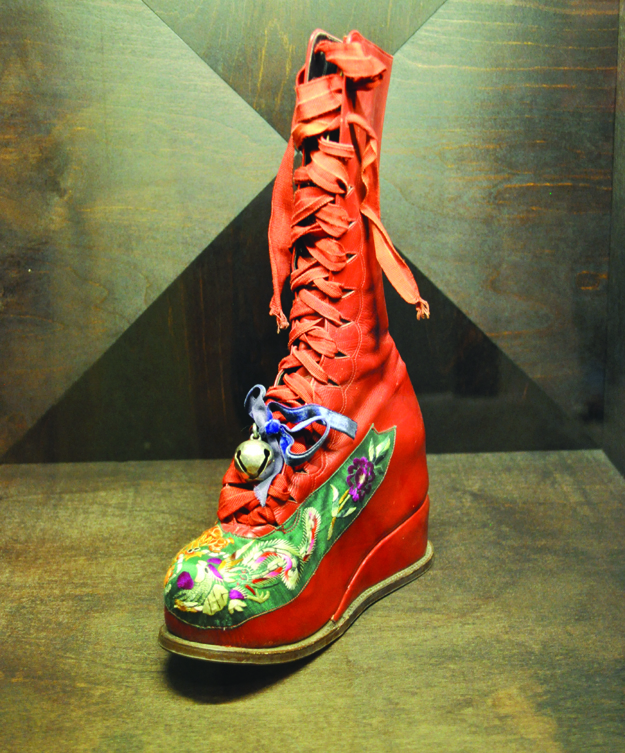 French writer and poet André Breton had once described Frida Kahlo’s art as a “ribbon around a bomb”. That is also a very apt description of Frida herself. 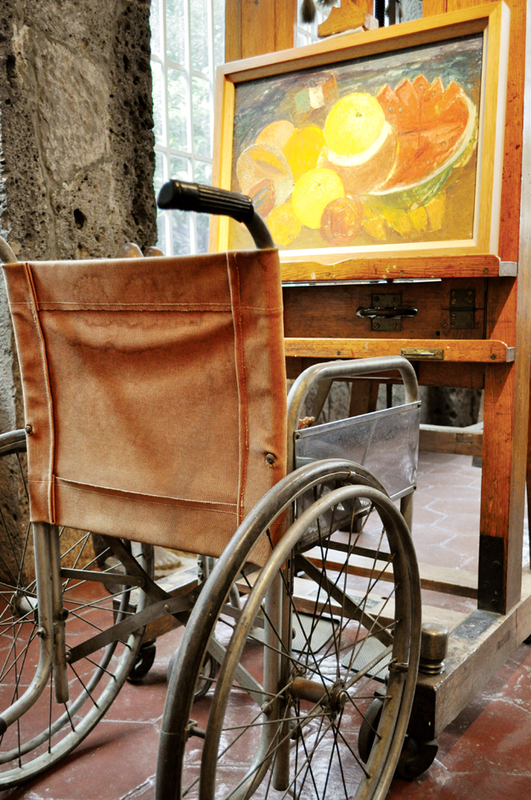 While her art equipment have a strange glamour to them as one realises that these are the paints, brushes and canvas-holders which helped her create her lasting pieces, other belongings like her wheelchair and crutches also make one sense her disabilities. No matter how much we celebrate her disability as part and parcel of the great artist, and no matter how much she fought it with bravery, it must not have been an easy life. No matter, how emblematic, original and ethnic her ensembles are, but at the end of the day her wardrobe includes corsets, leg immobilisers, prosthesis and special shoes. It must have been tough to be in Frida’s shoes. Her choices were not run-of-the-mill either. She loved Diego for his art and his mind, and it was a difficult on-again, off-again relationship. But they were each other’s muses. While she and her terribly gifted husband were intensely in love, Diego could never pledge fidelity, though he promised her loyalty. 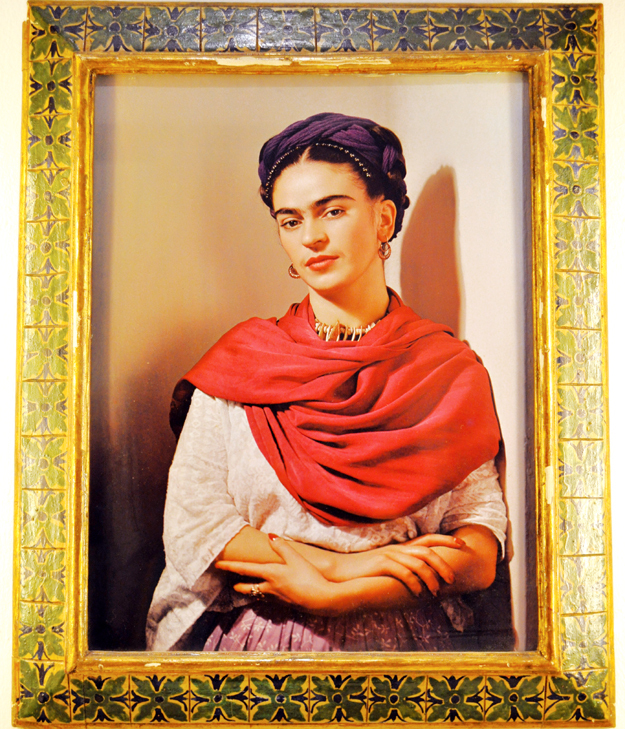 Loyalty, as Frida once said, was more important to her than fidelity. The Pakistani woman today is in a transitional flux. She admires Ismat Chughtai but is also solidly rooted in tradition, sometimes out of coercion and at others as an informed choice. She is complex, and learning, and evolving. She is coming of age. She is paying the prices for her choices. Yet, she is living a full life, or at least trying to. Frida Kahlo, in her own unique way, did the same. She exemplified, somehow, what mystic teachings say — that none of us is perfect, yet there is so much perfect in each of us. She once said, “I think that little by little I’ll be able to solve my problems and survive.” That is what all of us are trying to do, every day of our lives. Published in The Express Tribune, Sunday Magazine, November 9th, 2014. Posted in Women and tagged art, Frida Kahlo, la casa azul, Mexico, ribbon around a bomb, The blue house. Bookmark the permalink.